The staff are all friendly. 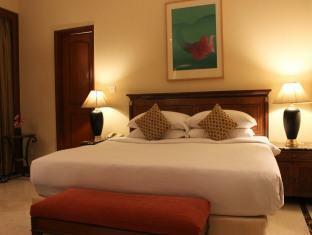 The location is very near to Connaught Place (by auto is about 3-5mins around 30-40 rupees) . Rooms are clean and breakfast was good. They have small spread of western and indian food. No problems and issue with this hotel. Excellent !!!! Friendly and helpful staff. 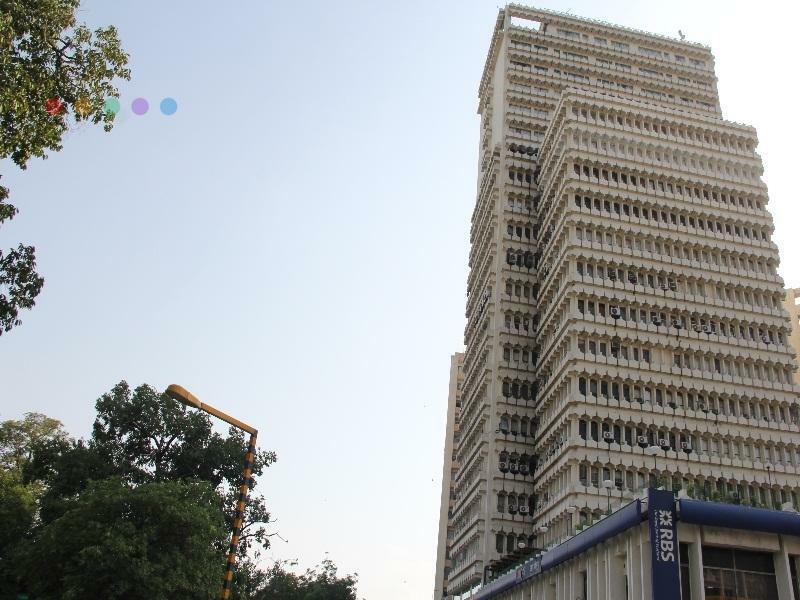 Good location to Connaught Place (3-5mins by auto rickshaw - 30-40 rupees) . Good spread of breakfast (western & indian ). No issues with my hotel stay here. No regrets ! Very nice hotel middle of everything. Rooms are very nice and comfortable. No outside sound from the room. Very friendly and helpful staff in frontdesk, restaurant and house cleaning. Have onsite laundry service and reasonably priced. Have complementary 2 bottles of water and coffee and tea in the room. Breakfast is included in the price and have a nice little buffet for breakfast including g how and cold items including eggs made according to your choice. Pros: Central of New Delhi. Price is still high (100 usd as stated but after taxed is 120 per night) however still lower than other 5 star hotels like Leela. Cons: “No” is often the answer to all request; unstable WiFi; once you check out, you wont get WiFi, not even as guest using coupon; don’t feel welcomed Recommend other commercial brands like Bloom @. good location, near connaugt place, room is ok and food is acceptable, but a little expensive. It was raining, but the umbrella was not ready. and the worms flew in the bathroom. breakfast menu is poor. The rooms are poorly maintained, specially rest rooms are ill maintained, towels and accessories at Rest rooms are of poor hygiene. Staff members are not cooperative. When the reception staff behaves with a business traveller, paying Rs. 9000+ per night, as if he is a thief - the experience is most humiliating and disgusting. The most unfriendly and uncouth staff I have ever come across in a hotel - even the worst ones near railway stations behave much better. Definitely never coming back even if I have to sleep on the road in Delhi and definitely preventing anybody in my company from staying there. Have a problem for water drainage at toilet. I’ve stayed at this hotel multiple times and while the facilities are average, I loved it due to location and good food. This time it was entirely different. The towels were visibly old and torn. They smelled of bleach too. The light in bathroom was so dim that it was very difficult to shave for me and for my wife to dress up. The TV remained non functional for both days as the picture and sound would freeze due to low signal strength; perhaps that have low bandwidth and more TVs working on cable connection. The AC could not keep the room cool. Staff came to check these only after multiple complaints and could not resolve the issue even after multiple attempts. The quality of food, though still okay, has deteriorated in the last few months too. I used to recommend this hotel, but would no longer recommend this and di not plan on staying in it in future. The hotel is really old. Don’t try to enjoy the facility in the hotel. 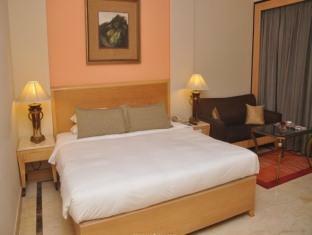 Just experience the convenience and the great breakfast for business trip will be an excellent hotel. The foyer can be made grander and more attractive. I enjoyed my stay at this hotel. Staff is good. Very central location. But there is nothing helpful for two blocks if your walking. They played some games, checking me into a smaller room than I had paid and, but, put me in a better room after I complained. The AC in the better room broke and started sending in toxic fumes, at 2 am I got out of bed (I thought the building was on fire) and grabbed my stuff and went down to the lobby. They gave me another room, so three rooms one night - personal record. Rooms are clean. The hotel offers a "room with free wifi" on the Agoda pages. In fact, Wifi is only free in the lobby - and for 4 hours in the room. If you want more, you have to pay - a rate of 12 € per 24 hours is not cheap. Secondly you can only conncet 1 device at a time to the Wifi - if you need to connect your mobile and your laptop for example, it always shuts one connection down - so you can never get simultaneous working of both devices on your account. The hotel itself tells you, that up to 3 devices are possible. Another lie... The breakfast service is very slow. Despite having enoiugh staff wlaking around, desks during breakfast times are slowly cleaned and prepared for new guests. I had to collect cutlery from other desks, if any was available becuase all desks were used but not yet cleaned... Lastly: the reception desk is not very helpful... the answers are either "no" or "we shall see" - but nothing happens. From a 4-star hotel I expect to have more service and better help for guests. Overall: just 3 stars - and a hotel that I will NOT book again. สถานีรถไฟใต้ดิน Mandi House - ระยะ 0.59 กม.